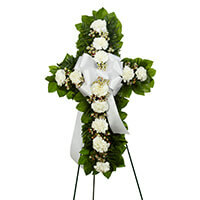 Provide comfort for the family of Nancy Reeves with a meaningful gesture of sympathy. Mrs. Nancy Gibbs Reeves, age 67, passed away Sunday, March 24, 2019 at Anderson Hospital in Meridian, MS. Visitation will be held Tuesday March 26, 2019 from 5:30PM until 8:00PM and Wednesday March 27, 2019 from 8:00AM until 9:50AM at Wolf Funeral Services in Lake, MS. Funeral Services will be held Wednesday March 27, 2019 at 10:00AM in the Wolf Funeral Services Chapel with Bro. Larry Duncan officiating. Burial will follow in the Salem Baptist Cemetery, in Lake, MS. There will be no graveside services. Wolf Funeral Services in Lake, MS in charge of arrangements. Mrs. Reeves resided in Lake, MS for the past 50 years. She was a member of the Salem Baptist Church in Lake, MS. She was preceded in death by her mother, Eva M. Luke; her father, William Lee Gibbs; and her brother, William Jerry Gibbs. She is survived by her husband, Rickey Reeves of Lake, MS; one daughter, Tammy Maseda (Floyd) of Lake, MS; two sons, Donald R. “Chuck” Wilkerson and Dewayne Wilkerson, both of Forest, MS; one sister, Betty Hammond (Bob) of Austin, TX; one brother, Steve Gibbs of Lake, MS; one sister in law, Betty Jo Gibbs of Waco TX; eleven grandchildren, Matthew, Mark, Chance, Memory, McKensey, Liberty, Lindsey, D. J., Peanut, Chelsey, and Levi; four great grandchildren, Brayden, Logen, Wyatt, and Jason. Her grandchildren will serve as Honarary Pallbearers. 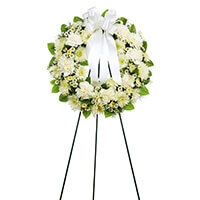 To send flowers in memory of Nancy Reeves (Gibbs), please visit our Heartfelt Sympathies Store. Jeff & Susan Burrell and The Doss Family have sent flowers to the family of Nancy Reeves (Gibbs). May you be comforted by your sweet memories & find strength in the Lord. Lifting all of you up in prayer during this difficult time. Jeff & Susan Burrell purchased the STANDING CROSS-WHITE for the family of Nancy Reeves. With love and condolences, Betty and Bob, Ruth and Wendall and children, Tracy and Ken and children. The Doss Family purchased the Open Round Standing Spray - All White for the family of Nancy Reeves.